We design, preserve, and advocate for affordable housing. An experienced architectural firm based on a simple principle: put people first. For four decades, we’ve crafted inspired structures where people want to live, learn, work, and play. For us, architecture is not just schematics and specifications; it’s about the people who ultimately use a building. Our focus is on them. 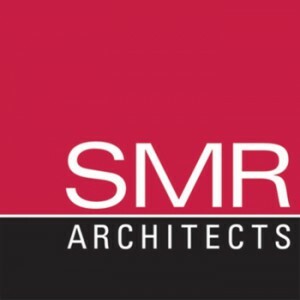 At SMR Architects, we create living spaces: our structures provide a place for life to happen, they interact with and enrich the neighborhoods in which they’re a part. Our team’s collaborative approach, experience, and sustainable philosophy helps us serve both our clients and the community, always putting people first. Sustainable design is at the heart of our people-first philosophy. At SMR Architects, we believe buildings should benefit both the people who use them and the community in which they live. 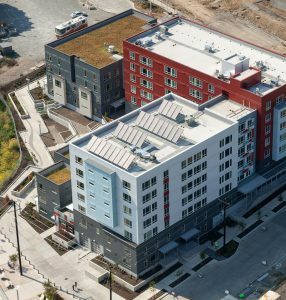 We accomplish this in many ways, including taking a transit-oriented approach to design, creating barrier-free living, and incorporating eco-friendly materials. Our goal? Design attractive, functional, and humane spaces that enhance a community’s quality of life while meeting our clients’ objectives. From affordable housing and historic rehabilitation to commercial and market rate projects, it’s our duty to create responsible, enduring structures that enrich neighborhoods and people. While we have come to expect on time and on budget execution from SMR Architects for our housing programs, it is their appreciation for the residents we serve that sets them apart. Our projects are better informed and reflect a deeper appreciation for the needs of those we seek to serve because of the talent and professional insight that SMR Architects brings to our housing communities.